Background The number of patients with prostate cancer is increasing, which puts additional pressure on health care. GP-led follow up may help reduce costs, travel time for patients, and workload for urologists and improve continuity of care. Aim To test the feasibility and acceptability of a new clinical pathway for GP-led prostate cancer follow-up. Design & setting A feasibility pilot study was performed in cooperation with six GP practices in the Dutch region of Amersfoort. Method The study included 20 patients with prostate cancer in a stable phase, who were aged ≥65 years and with comorbidity. Follow-up for prostate cancer was transferred to the GP for one year. Participating GPs and urologists jointly developed a protocol. Patient satisfaction was measured at 0 and 12 months with the ‘personalised care’ subscale of the Consumer Quality (CQ) index 'general practice care'. Next, patients, GPs, and urologists were interviewed about their experiences. The clinical pathway was considered successful if no patients were referred back to the urologist, except for an increase in prostate-specific antigen (PSA), and if the majority of patients and participating urologists and GPs were satisfied. Results Of the 20 patients included in the study, three were referred back to the urologist because of increasing PSA levels and one died (unrelated to prostate cancer). Most patients (73%) were satisfied with the transfer of care, indicated by a score of ≥3 on the ‘personalised care’ subscale. 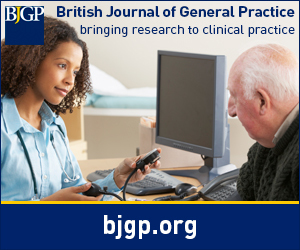 GPs and urologists had confidence in the ability of GPs to provide follow-up care and preferred to continue this. Conclusion The new clinical pathway was successful, warranting a larger study to provide evidence for the (cost-)effectiveness of GP-led prostate cancer follow-up.